Injuries to Sergio Aguero and Alexis Sanchez suggest that players are being pushed to the limit by the twin demands of club and international football. Manchester City coach Manuel Pellegrini is optimistic that his star striker Sergio Aguero will be fit and firing on all cylinders for the second half of the season – a hope boosted by the fact that the rest of the campaign includes just one pause for FIFA dates. Fitness allowing, Aguero will be in action on the other side of the Atlantic at the end of March, when Argetina travel to Chile and the host Bolivia. In contrast, the first half of the club season was interrupted on three occasions – in September, October and November. It was in the second of those pauses that Aguero picked up a hamstring injury against Ecuador which kept him on the sidelines for a while. But City’s title challengers Arsenal, currently top of the table, will be equally relieved that their Chilean striker Alexis Sanchez will also only be missing at the end of March. Coach Arsene Wenger has fretted about the demands made by international football on his most important attacker – especially as those FIFA dates in September, October and November came hard on the heels of the Copa America, when the Chile of Sanchez overcame Aguero’s Argentina on a penalty shoot out in early July. But if South American international call ups are not too much of an obstacle in what is left of 2015/6, the same may not apply in the following season. Once more there are pauses in September, October and November – when the players will cross the Atlantic to take part in the most competitive World Cup qualification campaign on the planet. And before that comes the Centenary Copa America, set to be held in the United States in June. This competition may well enrage the likes of Pellegrini and Wenger. It is true that European players will also be in action in the 2016 Euros – and more of them than ever before given the expansion of the competition. But the differential is that the South Americans had a Copa America in 2015. And with six South American teams taking part in the last World Cup, there is a real possibility of players enduring a third consecutive year without a complete break. 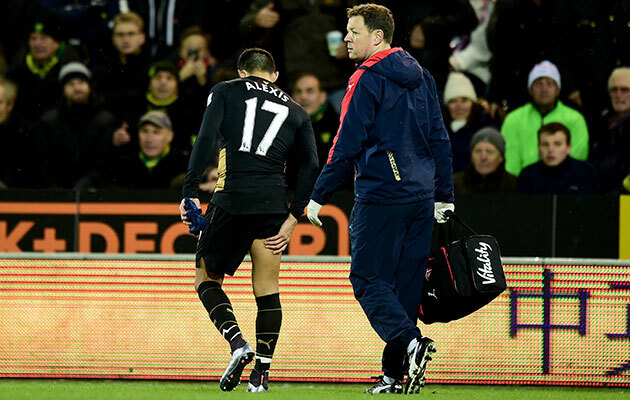 Arsenal’s Alexis Sanchez has missed a significant chunk of the season through injury. It remains to be seen how many countries will take their full strength squads to the Centenary Copa. With Aguero’s fitness record, there must clearly be a risk in placing too many demands on him. And Chile would surely be insane to take Sanchez and other senior members of their team. They have the Confederations Cup coming up next year, and, they would hope, Russia 2018 to look forward to as well. Five consecutive years of international tournaments would surely be a case of overkill for the European based players – though if coach Jorge Sampaoli does resign, his replacement might find himself tempted to use the time in the USA to get his feet under the table and get to know his players. And that is a prospect which may already be giving Arsene Wenger some sleepless nights.